Vastu means where you LIVE or WORK. 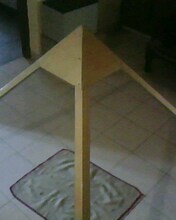 Pyramid means center point of fire. 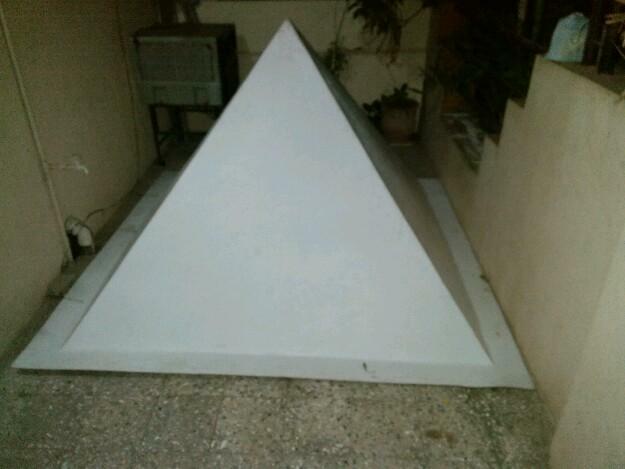 Meditation pyramid is available in size of 6 by 6 feet base...price start from 5500/- plus freight extra.fiber pyramid is available in size of 6 by 6 feet single piece moulding.....price start from 18500/- plus freight. Pyramid for meditation ...in copper and fiber. Send yr map/lay out for free vastu guidance by vedic vastushastra/pyramidvastu and by fengshui. we never charge even a single panny if u send it by mail. Call Us Today for vastu consulting/vastu idea/vastu suggestions. call us for yr home/factory/shops/cinema/industry/hotels etc etc for vastu visit. For vastu consulating charge plz write mail to us or call us.